Offer Price includes: assembled unit stand, table top, motor + instructions and manufacturers accessories. 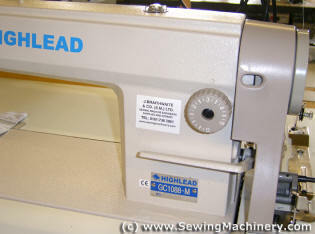 The Highlead GC1088 is a high speed industrial sewing machine for general use on light to medium weight fabrics. 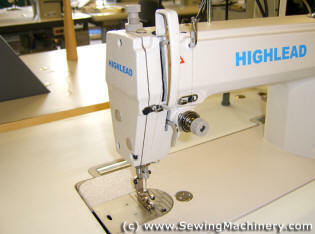 It has been introduced to cater for the demand of a reliable "workhorse" industrial sewing machine. 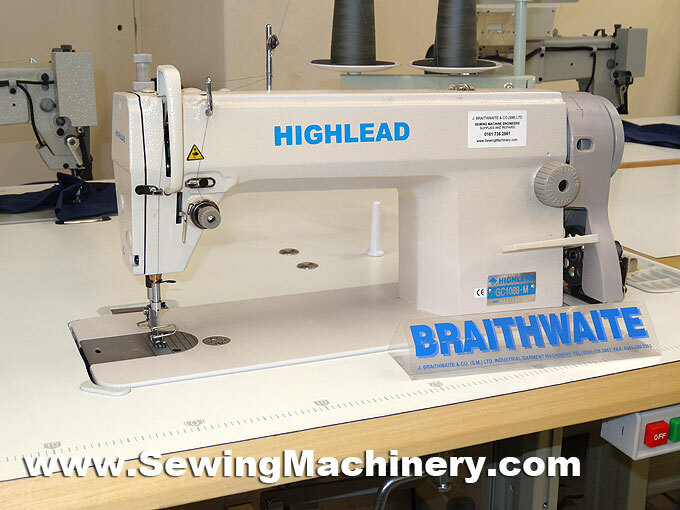 Customers have the benefit of purchasing a genuine branded industrial sewing machine that is manufactured by Highlead and sold at a highly competitive price. It is designed with link thread take-up, link feeding assembly, bevel gear driving mechanism, Japanese sewing hook and an automatic oil pump lubrication system which reduces servicing and repair costs. 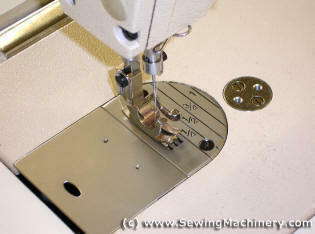 Sewing speeds are up to 5500 stitches per minute and the stitch length is adjustable from 1 to 5mm. It features true and even stitching, user friendly operation, easy maintenance and as a general purpose industrial single needle lockstitch machine, it can be used on many types of light to medium weight fabrics & materials etc. 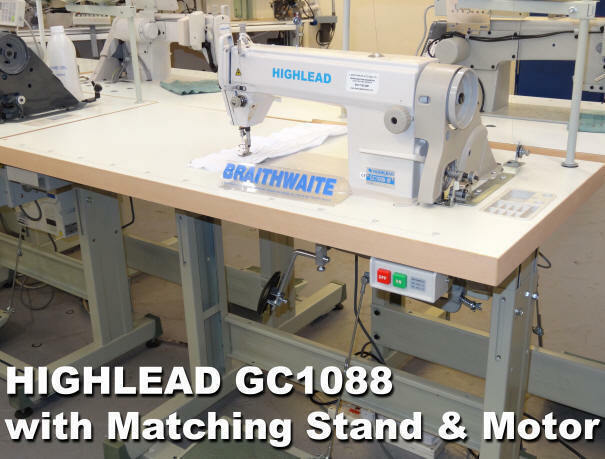 Many optional accessories are available for the Highlead GC1088, including: zip feet, piping feet, gathering feet, hemmers, binders and guides etc. A Low voltage needle light kit is also available. Supplied complete on full sized work stand with single phase industrial clutch motor (standard household plug) and 12 months manufacturers UK warranty.